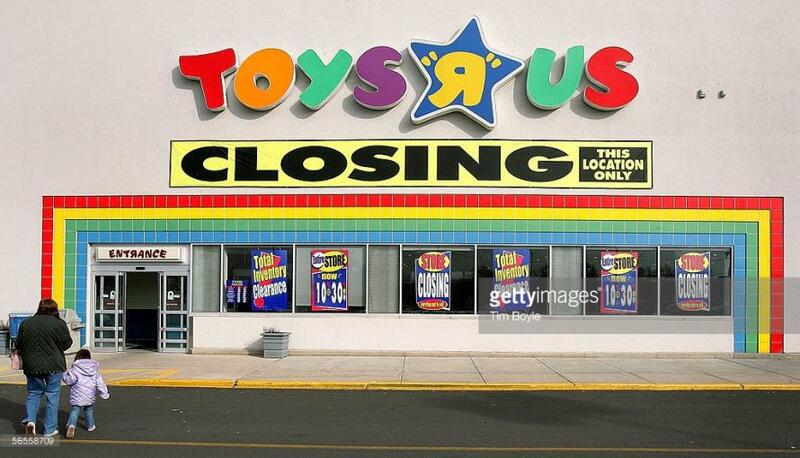 ... the once iconic toy retailer is set for the dust bin of history, and having failed to find a buyer in bankruptcy court is preparing for the final indignity: liquidation. As Bloomberg reports in describing the "fluid situation" at Toys, a winding down of the US division has become increasingly likely in recent days according to "people, who asked not to be identified because the information is private." And with every passing day, hopes are fading that a buyer will emerge to keep some of the business operating, or that lenders will agree on terms of a debt restructuring. The toy chain, which was LBOed for $6.6 billion in 2005 by KKR, Bain Capital and Vornado Realty Trust, entered bankruptcy in September due to unsustainable leverage, the speed of its failure taking even the most seasoned professionals by surprise. Its goal was to emerge as a leaner business, with fewer stores, a more sustainable debt load, and the ability to fight of Amazon and other online retailers. It had secured a $3.1BN DIP loan to keep it funded throughout bankruptcy, but Toys “R” Us’s results deteriorated drastically and even more than expected during the holidays, casting doubt on the chain’s viability. Meanwhile, as Bloomberg adds, the situation has also deteriorated for many of the retailer’s overseas divisions, which weren’t part of the bankruptcy. Toys “R” Us’s U.K. unit put itself in the hands of a court administrator after talks to sell the business fell apart. Its European arm is seeking takeover bids. And talks are being held tooffload the growing Asian business, the company’s most profitable arm. It’s not yet clear what will happen to the Canadian unit, which filed at the same time as the U.S. division. And so, Jeff Bezos' unstoppable juggernaut claims yet another casualty, one which may have taken the shortest possible from Chapter 11 to Chapter 7.